QPR boss Jimmy Floyd Hasselbaink hailed a first class away day from his Rangers side, as goals from Steven Caulker and Tjaronn Chery sent the Hoops to the top of the Sky Bet Championship table. Rangers eased to a 2-0 win over Cardiff City, with two second half goals clinching a deserved three points for the Hoops. 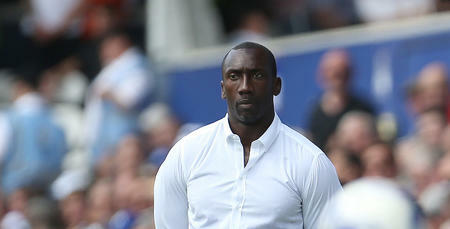 Speaking exclusively to www.qpr.co.uk, Hasselbaink was full of praise for his charges, who extended their unbeaten start to the season to three matches in all competitions. "We're not getting carried away, far from it,” he said. “It's nice to be where we are, but that is not our focus. "Our focus is to keep improving, keep being competitive and keep focusing on the next game. He added: "It was a really strong away performance. We played very, very well. "Offensively, we could impose ourselves better at times and be even more dominant than we were, but overall I am very happy. Caulker opened the scoring 14 minutes from time against his former club with a superb towering header, before Dutchman Chery put the icing on the cake in the 85th minute, with a coolly-taken spot-kick. 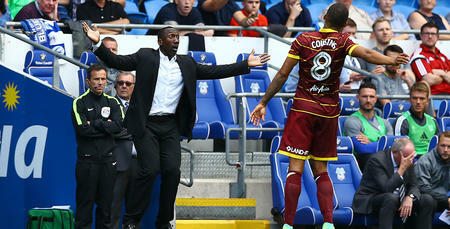 "The key was to stay patient,” said Hasselbaink. "We kept working, we kept knocking on the door and eventually we got the breakthrough our performance deserved. On goalscorer Caulker, who again shone at the heart of a QPR defence who have yet to concede a shot on target in the league, he added: "Steven was exceptional – but he was part of a very good performance. "He is a leader, he is respected by his team-mates, and he showed again today he's a very good player. 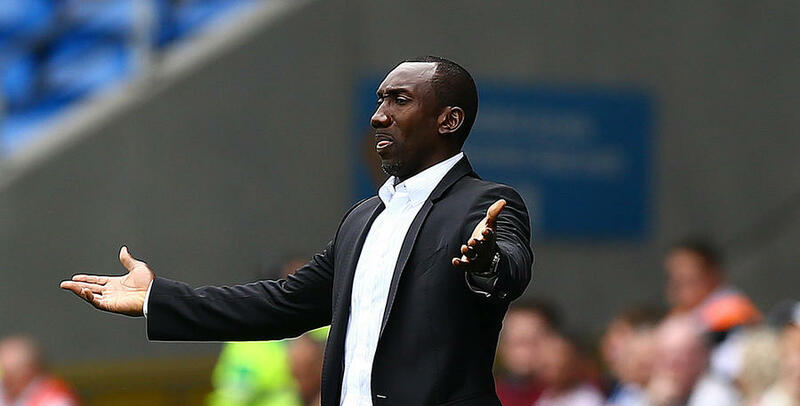 Next up for QPR is a trip to Oakwell, the home of Barnsley on Wednesday night, and Hasselbaink insists the focus has already switched to that game, commenting: "We'll analyse the game on the bus home, work out where we can improve and switch the focus to Wednesday. It's nice to be where we are, but that is not our focus.